We’ve all had them: patients who seem to have a great experience in our clinic or practice but then end up leaving negative reviews, comments, or feedback. What happened? They seemed to have such a great experience throughout their treatment plan. Maybe one or two things went wrong, but can that really change a patient’s entire outlook on treatment? The answer is, of course, “yes”. Regardless of how good the average experience of a patient has been during their time at your clinic, what often determines their subjective recollection and memories of their experience relate to their peak experience and/or their end experience . Understanding how the peak-end rule affects patient experience allows us to make adjustments where needed to make sure that as many patients as possible have a great experience in our clinics. What is the Peak-End Rule? As we’ve discussed here, the brain is incredibly complex and affects everything from what we perceive to how we perceive it. Social and psychological factors have the ability to greatly influence not only clinical outcomes, but also our perceptions and memories of past events. The Peak-End Rule states that an event is remembered more by what happens at the peak or the end than at any other point in that event (or series of events) . This leads to the formation of biased memories, either positive or negative. It’s important to note that what is affected is our memories of the event, not necessarily our experience in those moments. Many times, what determines whether or not we ascribe positive or negative memories to an event or experience is the way that experience ends. For example, some studies have shown that people will rate the experience of being exposed to the same stimulus as more or less painful depending on if a less painful stimulus is added at the end . Nothing about the original stimulus changed. The only change was the addition of a less painful stimulus afterwards that caused participants to change their ratings. Research has shown that the peak and final impressions can have more of an effect than the average impressions of a given experience . This can explain how a patient may have had a good experience in our clinics, but can leave negative feedback at the end of a treatment plan. It’s also important to note that research on this topic has shown that the Peak-End Rule contributes more to perceptions of memories in comparative situations . That means people are more likely to be affected by the peaks and lows of an experience when comparing it to another experience. If you had to wait in a long line at both billing offices, but the second office was playing horrible music, you’re more likely to be affected by the music selection when comparing both of those experiences later. We’ll see how this can play a role in patient experience and satisfaction in a little bit. The Peak-End Rule may lead people to expose themselves to what would otherwise be determined to be more painful if they are able to end feeling less pain . For example, take a trip to the dentist. There are many people out there who will have the dentist end a procedure with a lighter setting on the drill’s intensity. Many times, this increases the duration of the procedure, but people request it nonetheless. Even though these patients have endured pain or discomfort for a longer period of time, they would rate their overall experience better than if the procedure lasted for less time, but ended with an intense drill setting . Does it make sense? Not really. But it is something that clinicians should take into consideration when planning treatment sessions. How does the Peak-End Rule Affect Patient Experience? There have been numerous studies over the years looking at how the Peak-End Rule affects various types of past experiences. One interesting study looked at its affect on past experience within an exercise context . This study showed that the Peak-End Rule accounted for between 39-58% of variance in a GAE test. The GAE, or global affective evaluation, can be used to determine the likelihood of someone choosing to repeat an event. The study concluded that there is an importance in trying to minimize displeasure during exercise . What does this mean for clinicians? Perhaps it means that patient’s shouldn’t be told “no pain, no gain” so often. 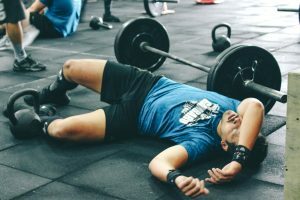 Perhaps, clinicians should take a more individualistic approach, tailoring each treatment intervention or exercise prescription to that particular patient, taking into account their ability, limitations, and tolerance for discomfort. These also have implications for patient participation, followthrough, and continuation of a treatment program. If patients experience displeasure during a treatment session, they may be less willing to go through it again. As mentioned before, the Peak-End Rule plays a role in decision making when it comes to pain and potentially painful experiences . There’s also research showing that the Peak-End Rule access a patient’s daily recall of pain . Why is this important? Patients may be inclined to discontinue treatment if they experience significant displeasure during a treatment or exercise program. And, since the Peak-End Rule affects a patient’s pain recall, then it’s safe to say that a treatment session that either has an elevated level of discomfort —or ends with discomfort— may lead a patient to decide not to continue treatment. How many patients have you had come to a treatment or two and then either cancel the rest of their appointments or just not come back? In some cases, discomfort or displeasure during a treatment session influences their decision to return. So what happens if you have a patient in your clinic that has a really negative end experience in your clinic? Are you black-listed with them for life? Fortunately, no. There is evidence to suggest that the Peak-End Rule plays a larger role in short-term ratings than in long-term ratings and feedback . Over-time, research shows that we tend to look back at past events more favorably. So there’s good news for you, if you happen to be thinking of a patient or two who left on a bad note. 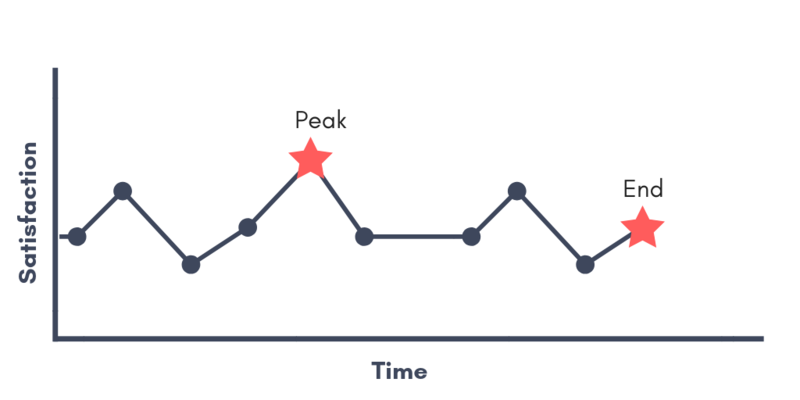 But how does the Peak-End Rule affect ratings, reviews, and testimonials? And how can we take that into account when gathering feedback & reviews from patients and former patients? It means that we should be gathering for and requesting reviews, comments, & feedback from our patients immediately following the end of their treatment course and also some time in the future. By asking for feedback immediately following treatment, we are getting an accurate representation of big wins (or losses) on our patient satisfaction management during treatment delivery and completion. By going back and asking for feedback later (hopefully you’ve captured your patients’ email addresses for communication/marketing purposes), we can get an overall sense of the “big picture” positives of our patients’ experience in the clinic. As a bonus, you can then use the positive feedback you receive in testimonials on your website or marketing materials. 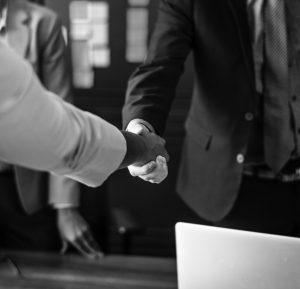 In earlier days, it was a commonly held belief in most business circles, that companies (or clinics) should strive to deliver a consistent performance during service encounters. While it is important to consistently deliver a good customer experience, psychology research has shown the importance of peak experiences and a happy ending. This research shows that managers, clinic owners, and front-level staff could provide positive peak experiences to elevate customer satisfaction . So how can a clinic make changes to maximize the effect off the Peak-End Rule on the patient experience? One simple way to leverage this effect could be as simple as creating a routine or ritual that takes place at the end of a patient’s plan of care in your clinic. Simple “graduations” or “moving on” ceremonies leave patients feeling elevated, inspired, and accomplished at the end of their plan of care. Even a simple gift or gesture at the end of a plan of care can create a “happy ending” experience for a patient. The same can be done throughout the plan of care for milestones or progressions. With a little creative thinking, clinics can make small changes that will result in big impact on overall patient experience and engagement. At the end of the day, it all comes back to understanding that the patient experience should focus on just that: the patient. The whole reason we went into the healthcare field was to help our patients achieve their goals and experience the outcomes they desire. That should be the focus of every decision we make in our clinics. Understanding certain psychological principles, like the Peak-End Rule, helps providers elevate the experience and engagements of patients during treatment programs and rehabilitation. For more interesting reading on the way our brains affect our memories and perceptions, I always recommend Dan Ariely’s “Predictably Irrational” and Daniel Kahneman’s “Thinking, Fast and Slow“. Have you made any changes to your clinic or practice to make sure your are maximizing on the positive effects of the peak-end rule? Share any additional resources that you found helpful in the comments below! Cojuharenco, Irina, and Dmitry Ryvkin. “Peak–End Rule versus Average Utility: How Utility Aggregation Affects Evaluations of Experiences.” Journal of Mathematical Psychology, vol. 52, no. 5, 2008, pp. 326–335., doi:10.1016/j.jmp.2008.05.004. Hargreaves, Elaine A., and Kate Stych. “Exploring the Peak and End Rule of Past Affective Episodes within the Exercise Context.” Psychology of Sport and Exercise, vol. 14, no. 2, 2013, pp. 169–178., doi:10.1016/j.psychsport.2012.10.003. Geng, Xiaowei, et al. “Hedonic Evaluation over Short and Long Retention Intervals: The Mechanism of the Peak-End Rule.” Journal of Behavioral Decision Making, vol. 26, no. 3, 2013, pp. 225–236., doi:10.1002/bdm.1755. Schneider, Stefan, et al. “Peak and End Effects in Patients Daily Recall of Pain and Fatigue: A Within-Subjects Analysis.” The Journal of Pain, vol. 12, no. 2, 2011, pp. 228–235., doi:10.1016/j.jpain.2010.07.001. Verhoef, Peter C., et al. “Service Encounters as a Sequence of Events.” Journal of Service Research, vol. 7, no. 1, 2004, pp. 53–64., doi:10.1177/1094670504266137.